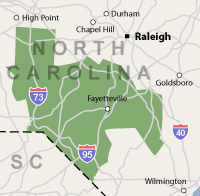 The subject of pest control in North Carolina has been in the news recently. According to the North Carolina Pest Control Management Association (NCPMA), companies tasked with pest control are seeing increasing complaints about flea infestations. Fleas can enter the home regardless of whether family pets are present since fleas attach themselves to other pests such as rodents; they also cling to shoes and clothing after people have been outside. Of course, pest control in your home encompasses more than just fleas. Termites and carpenter ants destroy wood causing structural damage, pests invade food supplies, destroy personal items and leave behind materials and bacteria that cause viruses and allergic reactions. The warmth, dark spaces and moisture in your home are ideal breeding conditions for pest infestations. Industry experts agree that the earlier homeowners address a pest problem, the sooner they can resolve the issue and avoid a more serious pest infestation. Whatever the stage of your pest problem, it’s important to remember that pest control professionals have the expertise and experience to safely eliminate the problem while protecting your home and family without disturbing your quality of daily living. Antex Extermination Co. specializes in pest control in Fayetteville, NC and other surroudning areas. Visit them onlien for a free pest control estimate!